National Apprenticeship Week #NAW18 runs from today untill the 9th March. At GetMyFirstJob we focus on apprenticeships all year round, helping training providers and employers find the right people in young talent. During this week employers and apprentices from across England will come together to celebrate the success of apprenticeships whilst encouraging even more people to choose apprenticeships as a pathway to a great career. 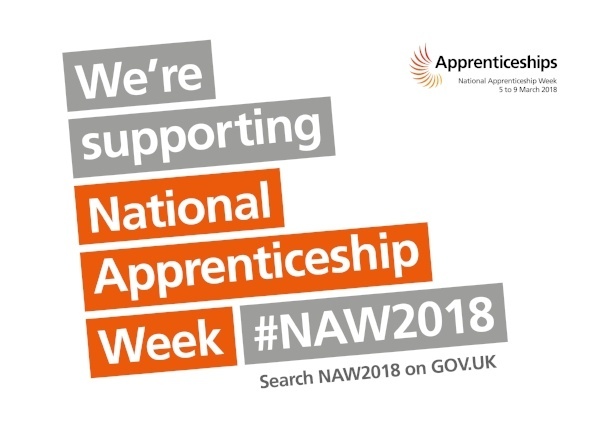 National Apprenticeship Week (NAW 2018) co-ordinated by National Apprenticeship Services (NAS) is an exciting opportunity to get involved and celebrate the benefits of apprenticeships have on communities, people, businesses & economies. Apprenticeships help future-proof their business, improve their skills base, attract diverse talent, deliver improved productivity, increase employee retention and bring new ideas and ways of working into the workplace, this week is a great time to celebrate this. There's a lot going on and we've outlined juts a few things not to be missed from us at GetMyFirstJob during this busy week. During NAW we have taken over The Edtech Podcast, an international podcast focussed on cutting edge challenges in education and technology. We focus on future careers, with contributions from BT, FSB, Grant Thornton and Nesta amongst others. Celebrating one million young people shortlisted for apprenticeship vacancies on GetMyFirstJob.co.uk, with five apprentices from the 999,998th to 1,000,002nd we announce the one millionth candidate. We’re giving away FREE collateral to help advise students about apprenticeships and their career options. You will receive an Introduction Letter, A3 First Steps Poster, A4 Poster, Mini Cards and an A4 Booklet. Simple visit Advisors Online on GetMyFirstJob.co.uk to register and order your pack. We've spoken about the Big Assembly, a record-breaking webinar on careers advice for schools, careers advisors, young people and employers. Last year over 10,000 attended the live stream promoted to over 2 million young people in advance of the day. Federation of Small Businesses, UCAS, The Student Room, Parent Teacher Association, National society for Apprentices...to name a few. The ground breaking event created by the East Midlands Apprenticeship Ambassador Network, Workpays and GetMyFirstJob is in its second year running with support from The National Apprenticeship Service and a range of employers committed to Apprenticeships. Brought to you during National Apprenticeship Week and on International Women’s day, this second Big Assembly will attempt maximise registrations and increase the previous 10,000 people being online all at the same time for careers advice and guidance. This year is focused on diversity and social mobility, you’ll hear from Apprentices and employers who’ll be sharing their stories and inviting questions from a live and virtual audience through this interactive broadcast. Helen Richardson, the Big Assembly Producer and Managing Director of Workpays comments on last year's Big Assembly , "we were bowled over by the excitement and success of The Big Assembly 2017 with over 10,000 people watching the live broadcast all about Apprenticeships. This year is going to be bigger, better and more interactive with an opportunity to put your questions to a panel of apprentices and employers." Employers and apprentices will be sharing their experiences by combining commissioned films by apprentices with a live Q&A with experts. 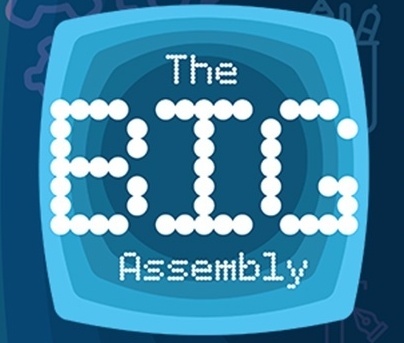 Schools, young people, parents, careers advisors and employers from across the nation are invited at 10.30am, on 8 March 2018 to take part in this year’s Big Assembly. Join the hype with thunder clap here. Registration to attend and log in for this exciting and memorable event is now open – register now and follow @bigassembly on Twitter. If you’re interested in promoting your apprenticeships through GetMyFirstJob please visit https://www.thetalentportal.co.uk/our-services-apprentices/ or contact 023 9387 6400.